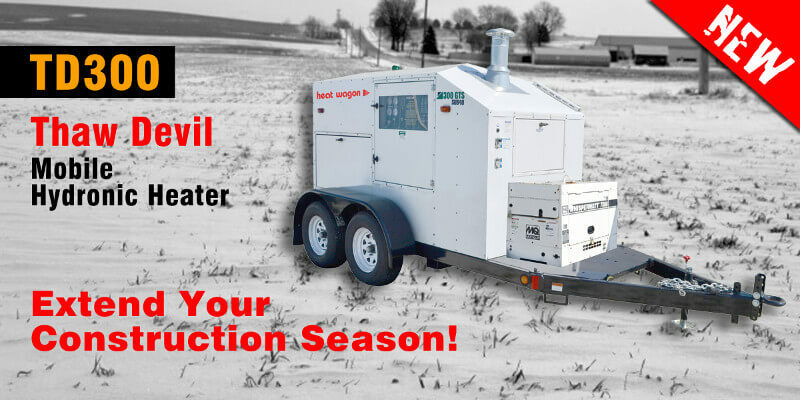 Industry leader in portable heating since 1981. Contact us today! 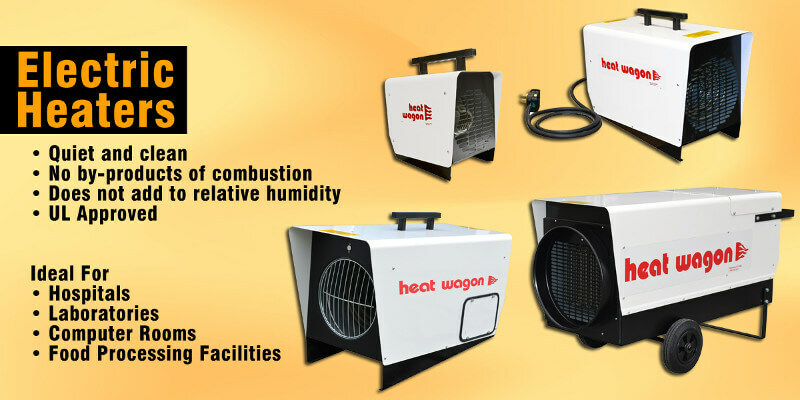 Heat Wagon's leading experience in developing high quality portable and construction heaters and accessories makes it an industry leader in portable heating for job sites and rental companies. Working with our customers, and with nationally recognized testing and certifying organizations, Heat Wagon brings the latest technology to the temporary heat industry. Heat Wagon offers a complete line of equipment to suit our customers' needs. Heaters up to 7,000,000 BTUH, plus fans, ducting and accessories are available to meet any requirements. Heat Wagon has the products to get the job done right. Job solutions include direct fired and indirect fired heaters, gas, oil and electric, as well as ground thawing and concrete curing packages. New Products including the new HRF115 Radiant heater and TD300 Thaw Devil!